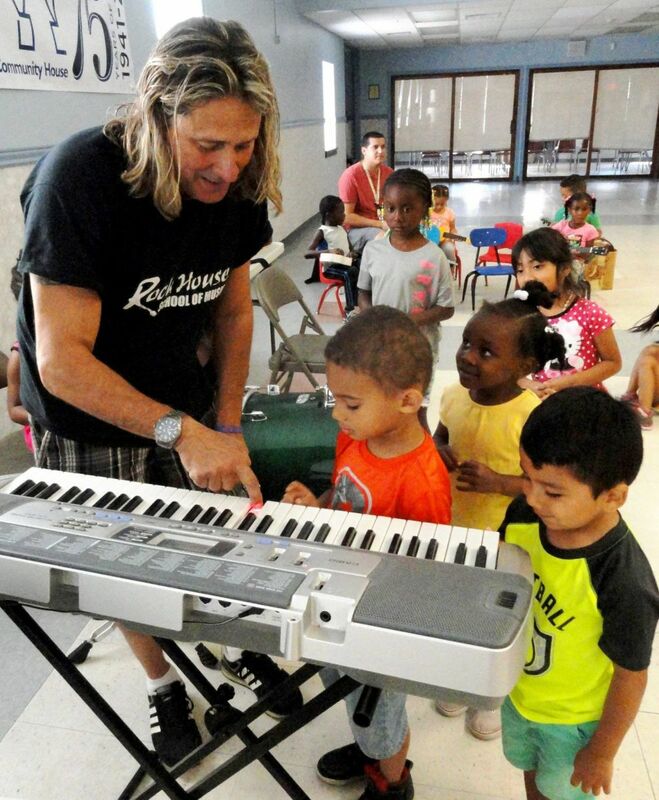 This Rock House Method ground-breaking program guides children to take their first musical steps. 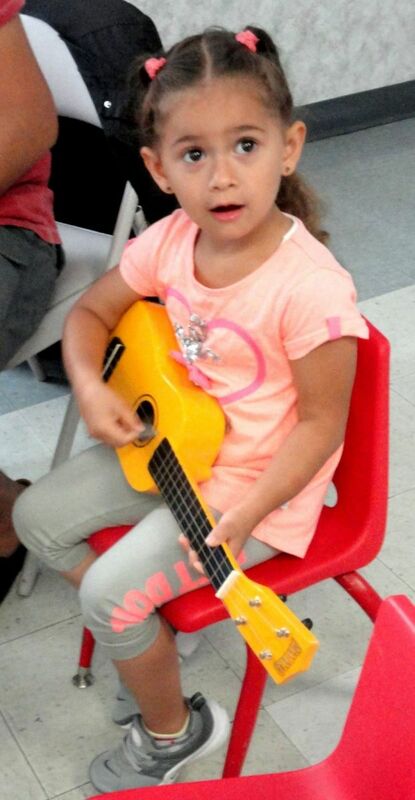 Children learn about rhythm, timing and get their first music lessons on guitar, piano, drums and singing. Music is proven to help children grow academically. Our groundbreaking program takes this to the next level with multi-sensory learning. Through rhythm exercises children learn and begin to understand the core of music applying hand and foot patterns along with songs. These coordination exercises help children excel musically as well as in sports. 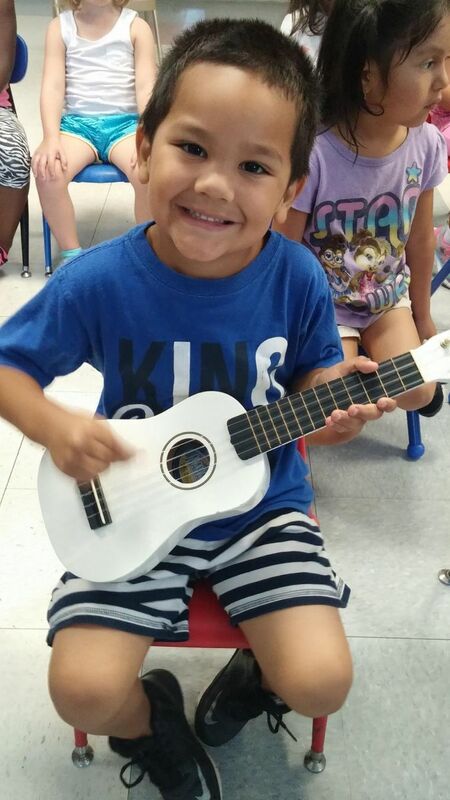 Our fun and exciting multi-level program helps children learn to sing, rhyme, gain knowledge of musical instruments and expand their creativity. 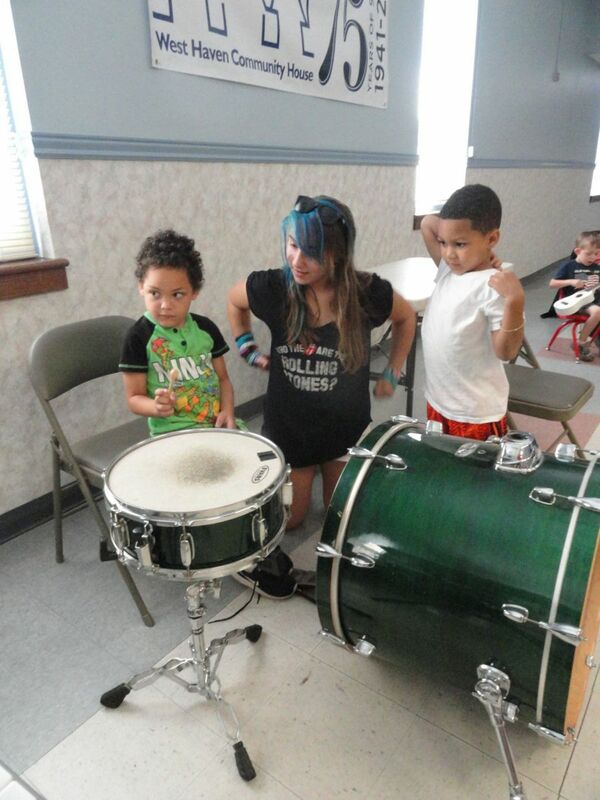 Children get exposed to real instruments and see which instruments they like most. Our program is the only one that takes the learning home, with our award winning interactive book CD/DVD your child will continue learning at home, in your car and everywhere they go. Music is the best medium for learning, especially in young children. When paired with movement, singing and instrument play, it creates neurological magic, lighting up a child’s brain and positively impacting all areas of development. The benefits of music education are truly transformational. Our Little Rockers program was developed to prime children with the essential knowledge needed to play real instruments before they can even hold one. From their first clap to their first music lesson the path is clear, easy and fun! This groundbreaking program was created to help children excel in music by instilling the foundation of music at the pre-schematic stage of artistic development when children become creative and develop motor skills. We offer Little Rockers Classes at our two locations West Haven and Wallingford and all surrounding towns and cities. Rock House is the best place to learn to play music!